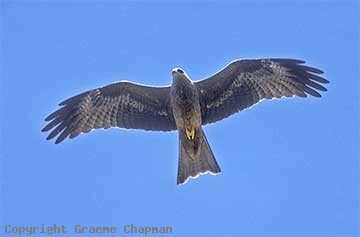 The Black Kite is also known as Fork-tailed Kite - their deeply forked tail is their most distinctive field mark. 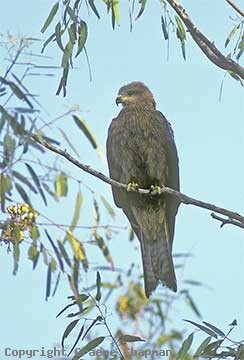 Black Kites can occur anywhere in Australia in open woodland and savannah country but are much more common in the north and arid inland. 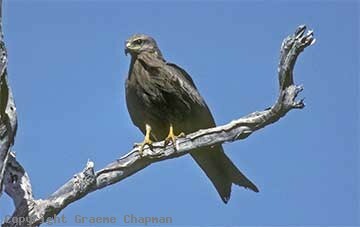 Black Kites are mainly scavengers, feeding on carrion and rubbish, particularly along the roadsides. They sometimes gather together in large numbers at concentrations of food, such as where animals are escaping bush fires. 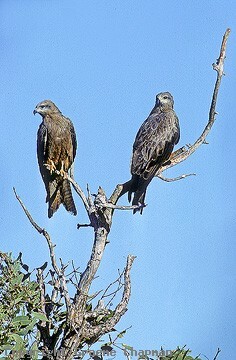 Non-breeding birds also roost close together in trees, often near water, in hot weather.